Bustling and colourful Hanoi is a lot of fun. However, during your stay you might want a change of pace. Why not take one of these exciting day trips from Hanoi? 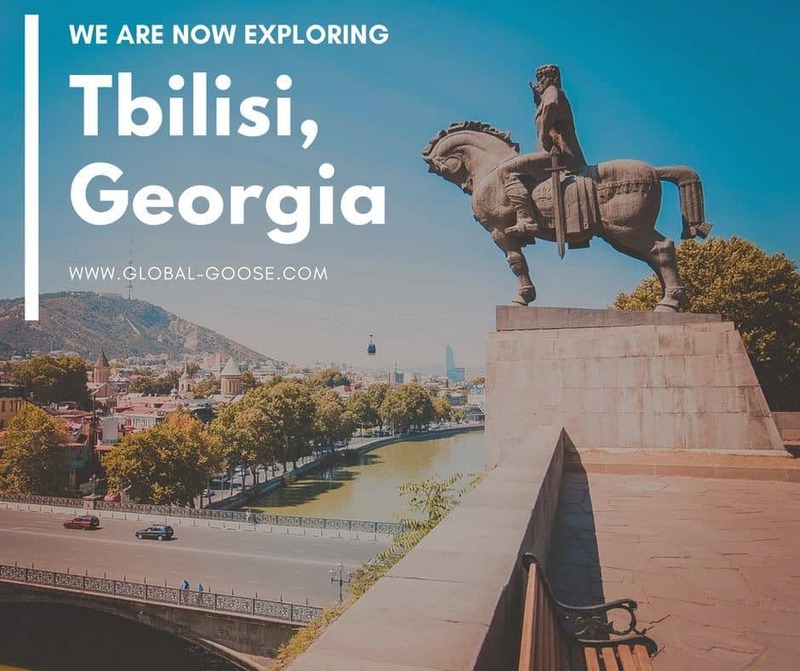 If you feel like venturing beyond the city and exploring somewhere different, there is a lot of choice in the surrounding area. Here are five of the best options for day trips from Hanoi that will give you a glimpse into a very different part of Vietnam. Ha Long Bay is one of the most stunning natural wonders in Asia. The limestone rock formations jut dramatically out of the bay, a cool mist surrounding their vegetation-clad peaks. The name means “where the dragon descends into the sea” and according to legend this seascape was created by a dragon crashing into the coast – creating pinnacles and valleys with its tail. 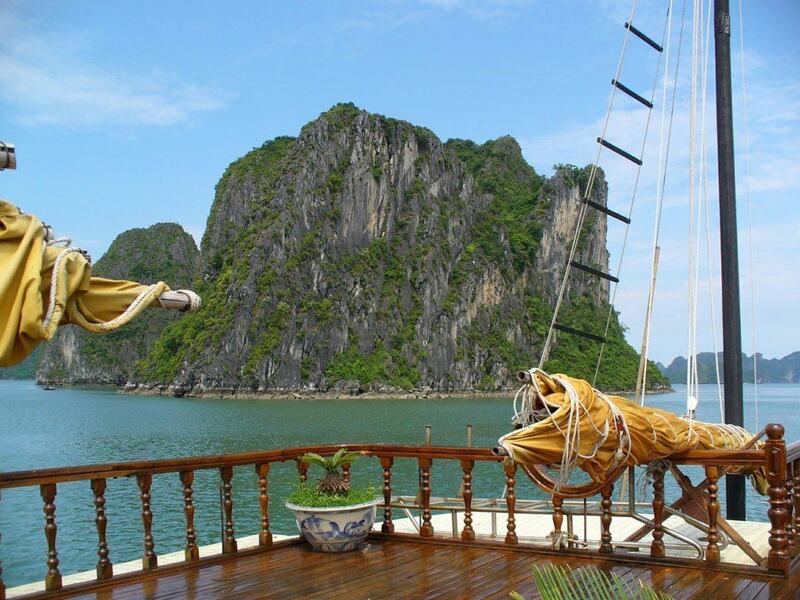 Ha Long Bay is a must-see destination when you are in Vietnam and the best way to see Ha Long Bay is on a cruise. Day trips are available and will give you a glimpse of the bay, but I would recommend spending at least one night on a boat. An overnight trip gives you more time to explore the bay and allows you to see the sunset and the sparkling night sky filled with stars. It’s easy to see why this natural site was preserved as a UNESCO World Heritage Site in 1994. 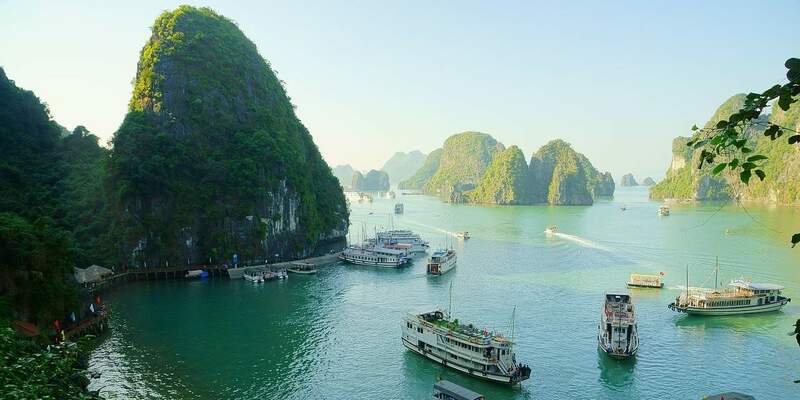 The best time to visit this naturally beautiful area on day trips from Hanoi is between late May and early August- when the weather will be bright and clear. However, there is something beautiful about visiting between January and March as well – the misty fog and cooler weather can give the bay a mysterious atmosphere. There are many different boat tours and overnight Halong Bay cruises to choose from, whether you are on a budget or splurging on luxury. Look for a boat tour that will sail to the remote corners of the bay where you can discover some of the hidden lagoons, quiet caves and kayaking spots. When you visit the Duong Lam Ancient Village you will feel like you have stepped back in time to a past era. The village is very important from a historical and anthropological perspective, as it is the last stronghold of wet rice farming culture in Northern Vietnam. 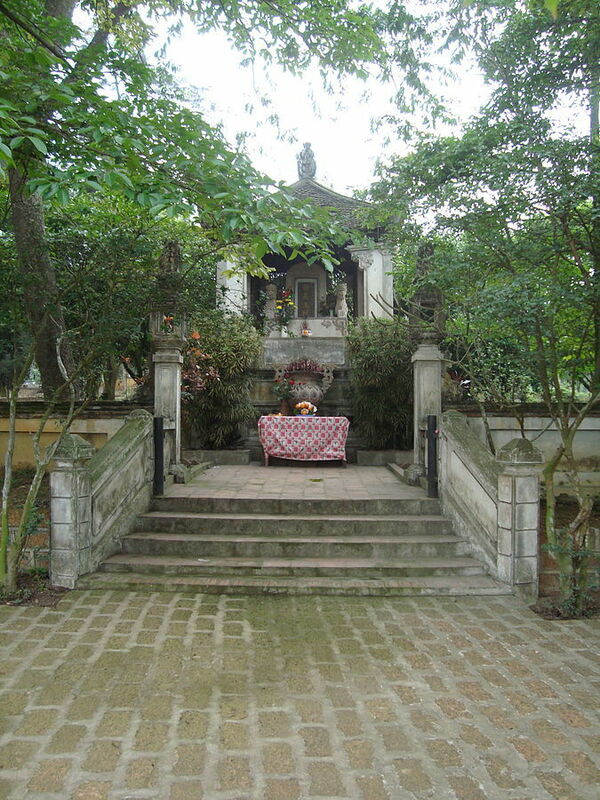 It is one of the most intriguing day trips from Hanoi, especially if you are interested in history. The Mong Phu communal house is the centre of the entire community and life revolves around it. You can ride a bicycle around the village and get a sense for the rhythms of the lifestyle here. The Vietnamese peasants farm the rice paddies the same way they have done for hundreds of years. Two Vietnamese kings, Ngo Quyen (896-944) and Phong Hung (761-802) , were born in Duong Lam – which brought a lot of fame to the village. Both of these kings led wars of resistance against northern invasion during their reign. The locals in the village built temples in their honour. Many of the houses in this historic village are over 100 years old and the oldest dates back 400 years. While you are exploring the village you can also visit the Mia Pagoda, which was constructed in the 15th century and contains 287 statues. The name Tam Coc means “three caves” and this area of rural Vietnam is known for its impressive karst rock formations and limestone caves. It has been called the “inland Ha Long Bay,” as the limestone rock formations are reminiscent of those at the famous bay. 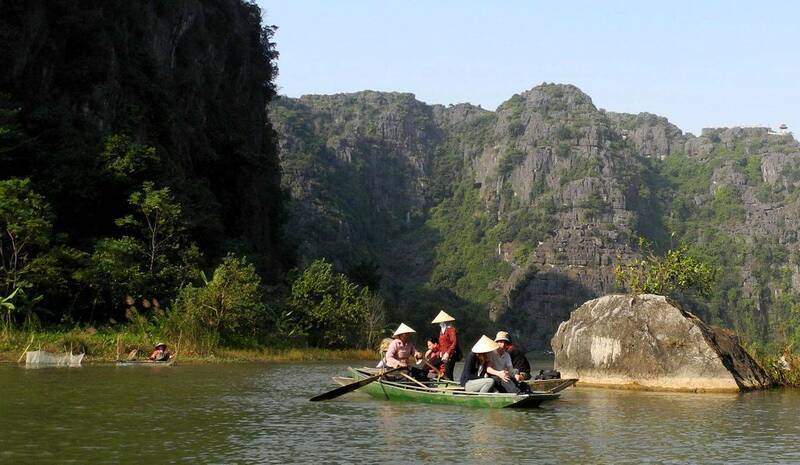 Tam Coc is located only 90 km south of Hanoi, perfect for a one day getaway from the city. Travel to Van Lam Wharf and then venture forth by rowboat paddled by local village women on the Ngo Dong River. The rounded limestone hills that rise out of the fields stand dramatically all around. The first of the caves is known as Ca Cave and it is 127 m long and 20 m wide. The next cave, Hai Cave, is 60 m long and the last is Ba Cave – which is 50m long. These caves are a subterranean wonderland, filled with beautiful stalactites and stalagmites that glitter and sparkle. These caves are nearby the historic site of Hoa Lua, so it is possible to visit both on a day trip from Hanoi if you leave early enough. Located only 60 km southwest of Hanoi, the Perfume Pagoda of the largest religious sites in the region. This stunning area contains several Buddhist shrines and pagodas which have been built into the limestone cliffs of Perfume Mountain. This intriguing site can be reached by boat from Hanoi and if you leave early in the morning you can see it on a day trip – arriving back in the evening. 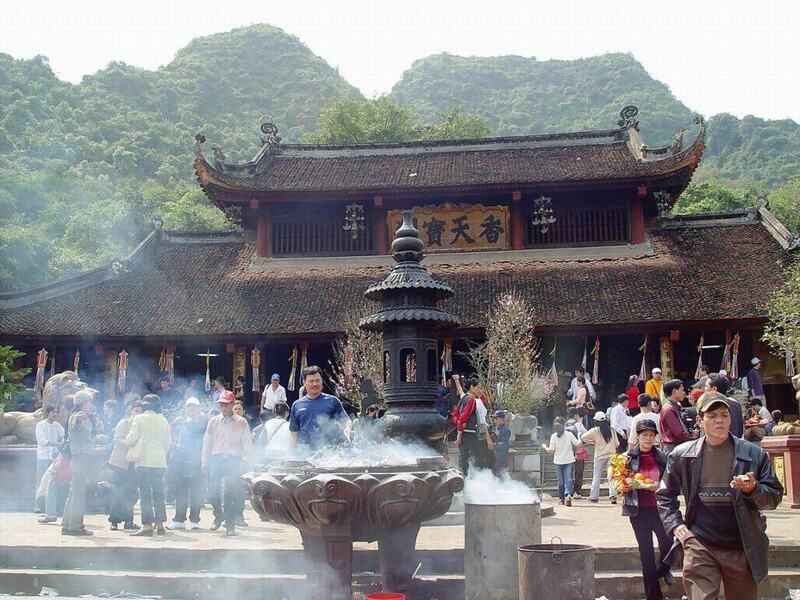 During the Perfume Pagoda Festival, which takes place from the middle of the first lunar month to the third month, crowds of pilgrims head here to pray for happiness and good fortune in the coming year. See the stele at the current temple, which dates the building the terrace and Kim Dung shrine to 1686. Also, the original statues of the Buddha on the site were cast in bronze in 1767 and replaced in 1793. Please note that this is a religious site, so respectful attire should be worn. This means that you should cover your legs and shoulders. If you don’t do so no one will say anything, but it is still quite disrespectful and the locals will not appreciate it. Climb the slope, which takes about an hour. Wear sturdy shoes and take plenty of water. Or, you can take the cable car if you don’t feel like the walk – but it is more expensive. 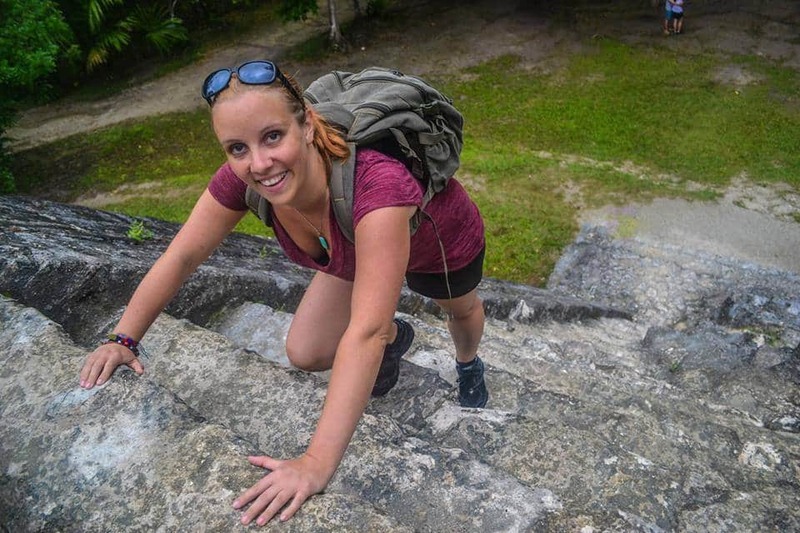 At the top you will find a large natural cave with several shrines piled with candles and incense. Take a moment to soak up the tranquil atmosphere of this sacred site. While visiting the Perfume Pagoda you can also dine at the restaurants in the area, many of which serve strange exotic game such as ferret, snake and weasel. Typical food is also served, if your stomach is not feeling that adventurous. 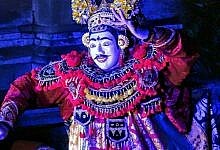 If you are interested in the history of Vietnam, this is a day trip from Hanoi that you should not miss. 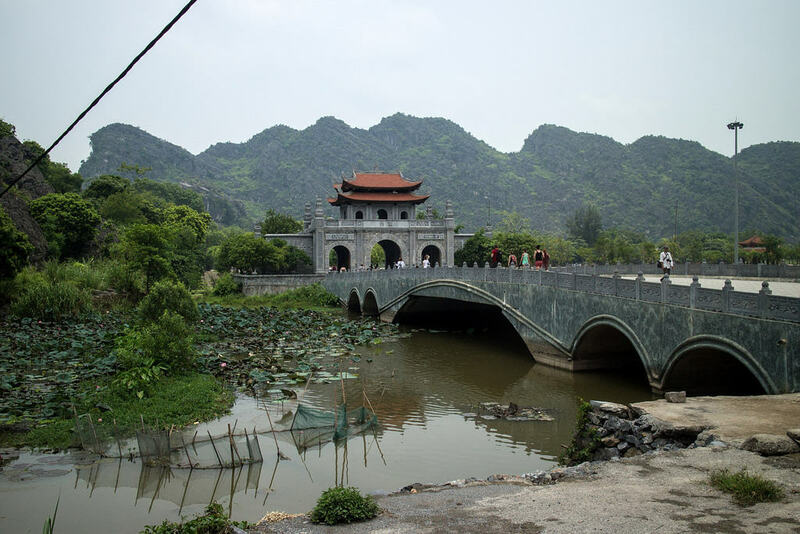 During the 10th and 11th centuries, Hoa Lu was the capital of Vietnam. Approximately 90 km south of Hanoi, the region is surrounded by emerald green rice paddies and striking limestone mountains. This location was chosen at the time as the steep limestone rock formations made the area impenetrable, so that enclosures could be designed which would be difficult to attack. 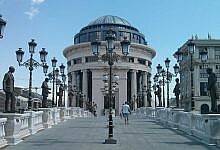 Once there was an ancient citadel which included palaces, walls, shrines and temples. All of this is gone now, but visitors can still see a few glimpses back into the 10th century –such as the temples that were constructed to honour the emperors Lê Đại Hành and Đinh Tiên Hoàng. Take a moment to visit these temples and admire them closely – they are truly impressive examples of the historic style of Vietnamese architecture. This area of Vietnam is very historically significant and many important events have been held here, including the war with the Song Dynasty, the 12 Lords Rebellion, the defence against the ancient Cambodian invasion and the formation of modern Hanoi. The best time of year to visit Hoa Lu is during the third month of the lunar year, which is when the annual festival is held. The procession starts at Hoang Long river and winds through to the temples of the two kings. The festival also features games, a fair and ceremonies. These are just a few of the best day trips from Hanoi, Vietnam. 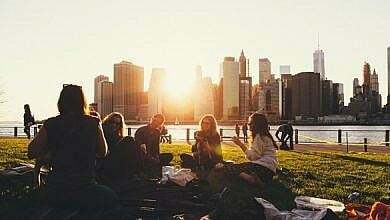 So, if you feel like a change of scenery you can head out of the city for a day and see something different. Have you experienced any of these day trips from Hanoi? Do you have any stories to tell, or any questions? Share them with us in the comments! When I was in Hanoi for two weeks in 2015 I only went to Halong Bay (I did sleep there on a boat). Hello , First want to tell you that you have given so many helpful information about hanoi and i really liked it. Now i am planning to go there. Thanks for sharing this with us.